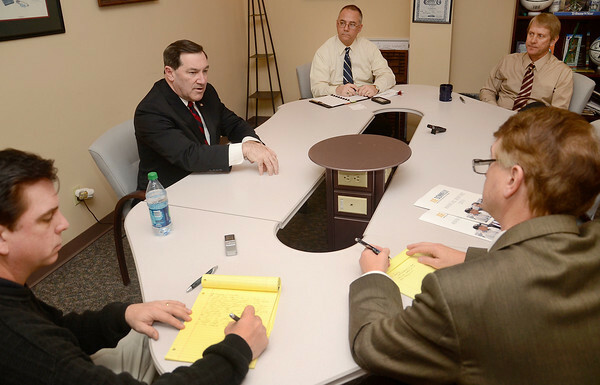 His view: Sen. Joe Donnelly, left, answers a question as members of the Tribune-Star Editorial Board listen in along with reporter Howard Greninger, lower left, on Tuesday at the Tribune-Star. Present were Publisher B.J. Riley, top, columnist Mark Bennett and Editor Max Jones.